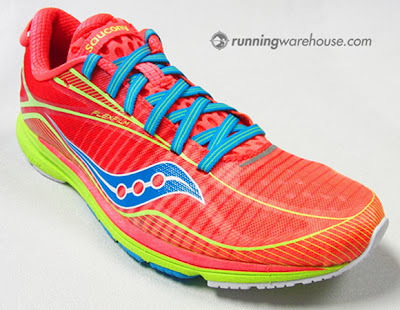 Thanks to the guys at Saucony Racing and the Saucony Performance Engineering Lab, I was able to get a pair of the new Type A6 racing flats a few months before they are released so I could wear them at CIM. I've been wearing the Type As for racing since I got back into running seriously in 2011, and I was especially excited for the A6s because of some of the enhancements made to this newest version. This is a FAST shoe. For most people, the Type A6 is ideal for 5K to Half-Marathon. For lighter, efficient runners it can be a fantastic marathon shoe. Like I said, I wore them at CIM, and while I'm also a big fan of the Fastwitch 6 and have had great success with that model, I'll stick with the A6 as my primary marathon shoe in 2014. This new version of the Type A felt a little more cushioned than the previous models, and I had no problems with my feet over 26.2 miles, even on a cold day in Sacramento. What stays the same? The A6 continues to be a very light and responsive racing flat. The fit is the same as previous version, although I would say this new version is a little more "glove" like - which is great! What's new? Saucony has incorporated new materials throughout the shoe (outsole, midsole, and upper) to make the entire shoe more durable AND lighter. That isn't an easy thing to do - but the Saucony lab is full of really smart people, and they hit a home run with the design of the A6. The outsole is now iBR+ blown rubber, and the upper is now all FlexFilm, which creates that seamless glove-like fit. Other specs: Weight - Men's 9 = 5.1 ounces, Women's 8 = 4.5 ounces. Drop = 4mm. Release date: February 1, 2014. The Saucony Blog has more details on the new Type A6. My collection of Type As, going back to version #3. I wear all of these! 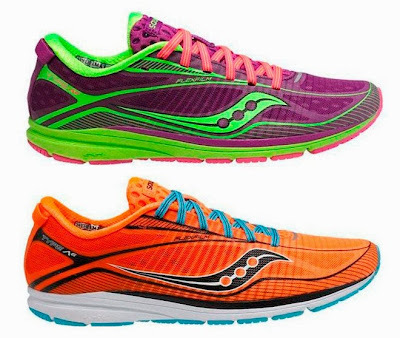 I wish Saucony was looking for woman shoe testers who are mediocre runners and wear a men's 8.5. LOL. Those are sharp! Saucony has an excellent wear testing program, where they get a lot of feedback from runners of all ability levels from across the country. All the tests are usually done in specific sizes, though. For women, size 8. And for men, size 9-10. Hey Patrick - I'm not sure about the wear testing program in Canada. Occasionally they are looking for new people for the program, and if I ever get word of that, I'd post it here on Wasatch and Beyond. They certainly are some smart looking shoes! Do you think you co0uld run easy days in them? I suppose you could, depending on what kind of runner you are. 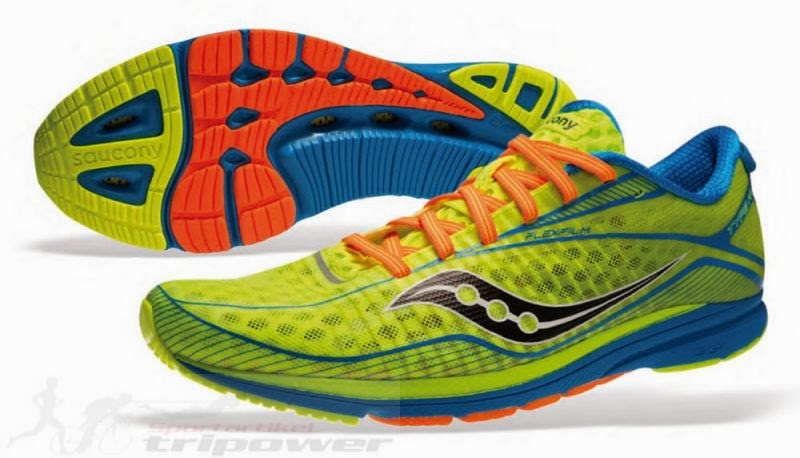 I prefer something like the Kinvara as a very light training shoe, and save the Type As for races and fast workouts. I normally don't run more than 10K at a time, and currently run in some relatively minimal shoes (Skora Phase primarily), for what it's worth. You'd probably do pretty well in the Type A for an everyday type of shoe. Is it wider than the A5? I can't really notice the difference, to be honest. Hey dude! I just picked up a pair of these at the Saucony outlet. Looking forward to trying them out--It's great to read your review and learn more about the model! Sweet. You gonna rock em for the Maine Marathon?